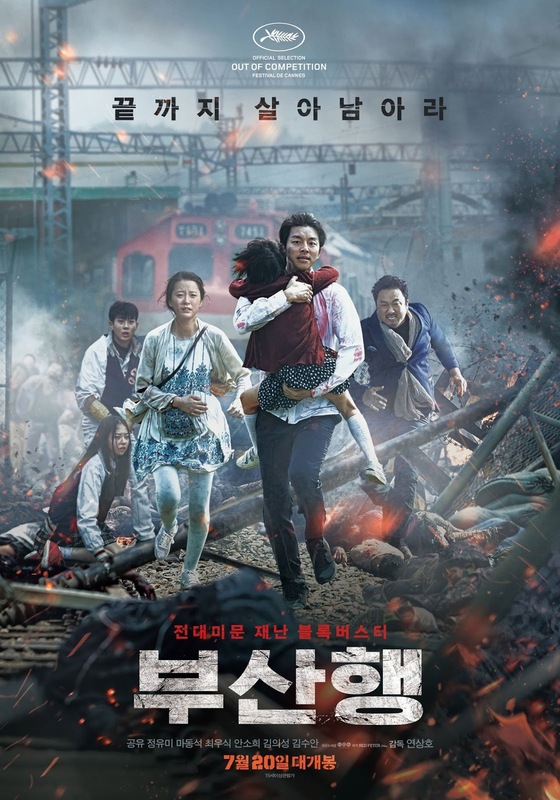 Train to Busan is something that I originally didn't plan on watching, but it was there when I really felt like watching a movie and I’m happy to say that I didn’t regret it one bit! As someone who pays very close attention to possible plot holes, cinematographic transitions, subpar acting, and the like, it’s very difficult for me to watch certain types of movies that only focuses on the packaging but not enough on the characters and the plots. It’s for those same reasons that I could never seem to finish Korean dramas, and only some Japanese dramas I could watch all the way to the end, they always seem to lack the fast pace that I enjoy. And people know for sure that I do love Japanese dramas, but for some reason most of their movies don't have much emotional attachment and they don't really have the peak moment when you can cry or laugh together. Hollywood still wins in this factor! 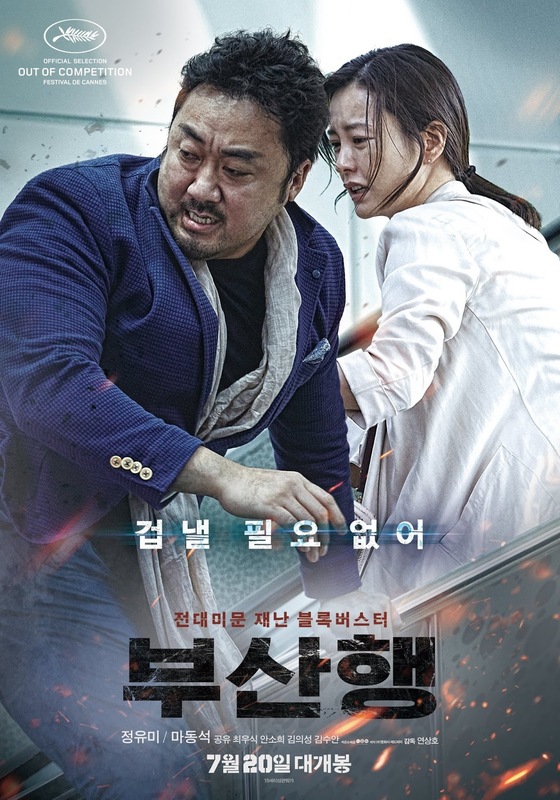 However, Train to Busan was engaging and entertaining, complete with beautiful cinematography and tactful transitions that was extremely impressive throughout. The pace didn’t slow down once it started to pick up, and there wasn’t a moment in the movie when I felt that something was taking too long or if they delved into the scene far too little to elicit and emotional response from the audience. For those of you who haven’t watched the movie or don’t know what it’s about; it’s basically about a strange, unknown chemical that infected living creatures throughout the country. 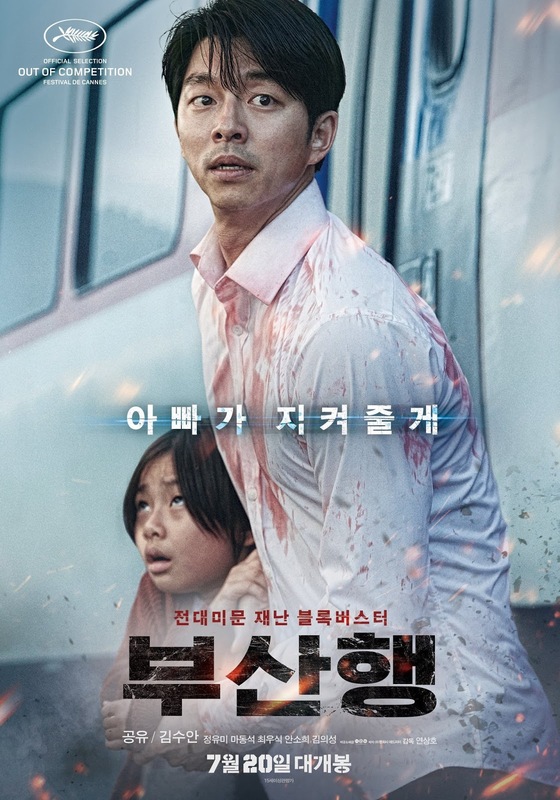 The protagonists: Seokwoo (played by Gong Yoo) and his daughter Su-an (played by Kim Suan) are on an early morning trip on the KTX headed from Seoul to Busan (approximately two and a half hours long), on the train they meet an array of characters travelling for various reasons to their same destination. 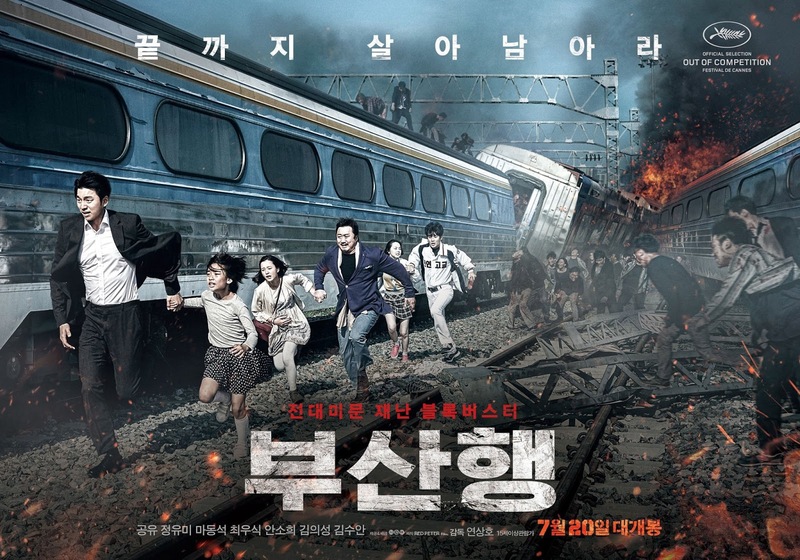 Eventually when the zombies descended on the train, they had to fight them off and rescue their loved ones, desperately making their way to Busan where it is confirmed to be a safe spot for those still alive to congregate. I think that the director has placed enough spotlight on humanity and relationships between family members, friends, and lovers, especially towards the end I couldn’t help but to tear up when Seokwoo sacrificed himself for his daughter, Su-an, despite the difficulties in their family that was shown in the beginning of the movie. The same goes for the relationship between Seongkyeong (Jung Yumi) and Sanghwa (Ma Dongseok), and the budding relationship between Jin-hee (Ahn Sohee, formerly of the Wonder Girls) and Yongguk (Choi Wooshik). The director’s way of packaging the movie was so neatly done and also very engaging at the same time, it almost felt like I was in Seokwoo or Seongkyeong’s shoes! I felt their pain and their fear myself because of how well the script was written and the progression of each characters throughout their journey in the train. All in all, I think that this movie has a little something for everyone. Generally, the plot and cinematography is flawless, like I can’t find anything terribly wrong with it that would bother me, and it’s definitely got a stellar team of actors that could convey the panic and the fear to the audience. For the girls, apart really thrilling plot there are plenty of eye candy on the screen for us to see! And for the guys the action scenes and thrilling vibe would be really entertaining to watch. So I definitely recommend this movie for anyone who aren’t sure what to see in the cinema these days, definitely won’t be a waste of your time!